Twice a week, Making A Mark gives an insanely talented artist a little brag-space right here on IADW. 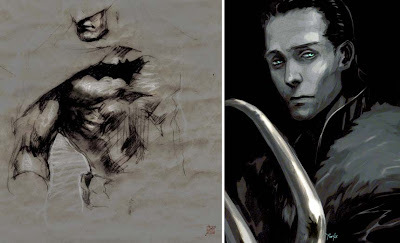 Today, it's the turn of 89g - a huge Bat-fan turned deviant artist, whose array of stunning sketches and finished art aren't just restricted to the citizens of Gotham. 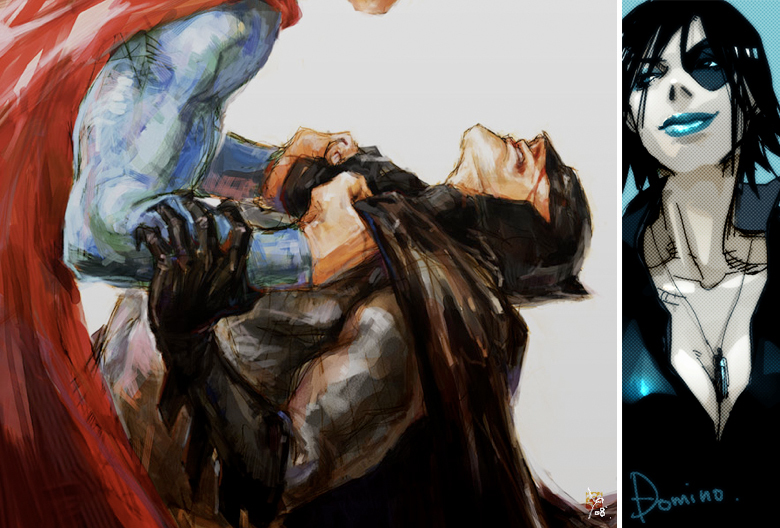 Just to clarify, those are two separate works of art - although the smirk Cable's main lady Domino is giving Batman's beating at the hands of Superman does seem like a natural fit! While saying that the Batman sketch above 'just wouldn't be the same if it' had gone any further' is a little redundant, it's awesome how 89g knew just when to stop. Heck, the facial expression in both Batman and Hiddleston's Loki on the right say it all anyway. 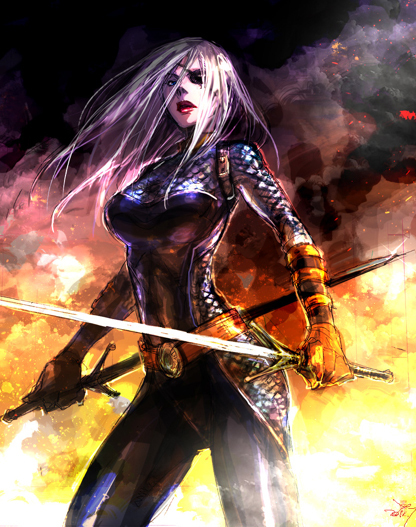 You know - the more time goes on, the more I rank Ravager as one of DC's leading females. Hopefully with Deathstroke heading his own series post DCU 52, daughter-dearest will be right along side him. For more of 89g's work, visit their online gallery after the jump. Wow, that really is some nice looking art! That Ravager is a thing of beauty. It sure is Random - she looks like a person you just dont want to cross right there! Glad you liked it too Dale, I'm running so behind on showing off all the great artists I've found, I'll be doing Making A Mark twice a week. Can't comment on your blog at the moment mr - have you disabled that feature? Where is that Loki from? Even at a first look, it was imediately recognizable.